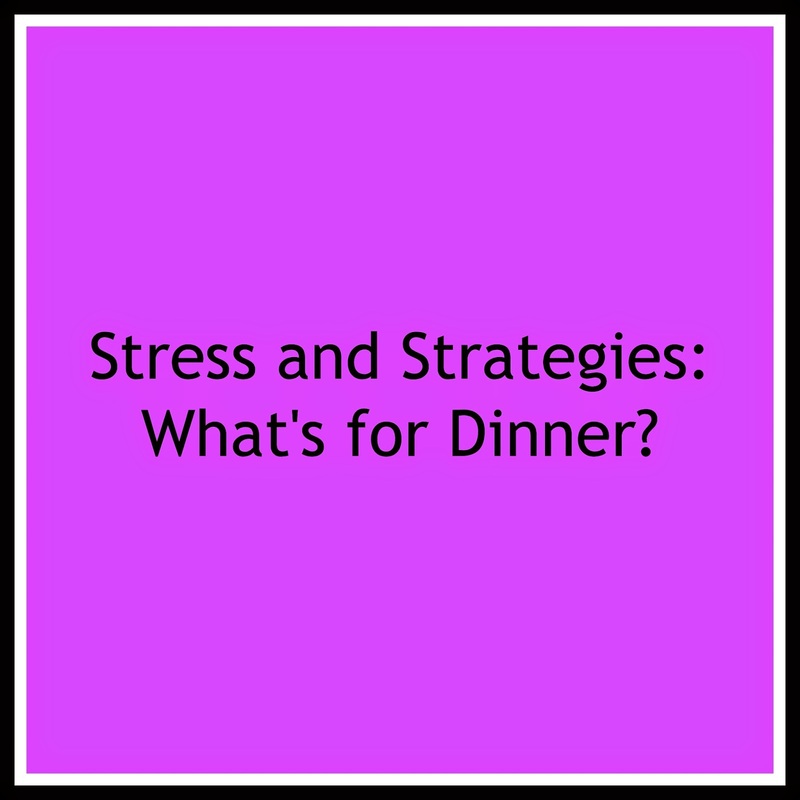 Busy Since Birth: Stress and Strategies: What's For Dinner? To put it simply, I am not the cook in my family. It's not that I can't cook, exactly, but that Marc is better at it than I am, and over time, it's become the division of responsibility in our home that he's responsible for food. Not just cooking dinner, but the grocery shopping as well. I pitch in on occasion, both with the cooking and the shopping, but I don't enjoy it. If I've cooked the dinner, particularly if it involved raw meat, I'm usually too grossed out by the whole thing to actually want to eat it. When I do the shopping, I inevitably can't find something in the store, or buy the wrong version that isn't acceptable given the allergies or Kosher issues in our home. But knowing all of this doesn't stop my kids from asking me "what's for dinner?" every night immediately upon pick up from after school. One strategy that has helped was something I picked up from Having It All Project participant Heidi Rybak: five week dinner plans, with five meal choices each week (eating out twice, or filling in with leftovers or something else). Heidi is even more organized than we are, as she has her list of needed groceries all predetermined too. But we've been trying to make the decisions further in advance, and the kids have been fairly helpful in making those decisions. It definitely cuts down on the middle-of-the-week decision fatigue, and we've gotten better about eating more of what we buy because it's on the plan, after all. We also end up eating more of a variety, trying not to repeat meals too close together. It's not perfect - meetings come up, we don't always hit the grocery store on schedule, but it's a good effort towards making this daily chore a little easier. What about you? How is dinner handled in your home? Share you stress and strategies in the comments! Did you see the Boston Globe article this week about more dads grocery shopping? I could not believe it was news. No one reports that I menu plan, grocery shop around the menu and always have food ready for the family. No one has reported that Adam is responsible for 100% of the dish washing at the house. LOL. Guess that isn't news. I plan one week of meals (breakfast, lunch, dinners and snacks), and as I write the dinner on the paper, I have a second piece of paper next to me so I can write down what I need to buy. The grocery list is broken up by DAIRY/FROZEN/GROCERY/PRODUCE/SPECIALTY. I keep the list on the fridge, so when someone takes the last of something, I can write it on the list for the next shopping trip.